The longer you hunt the cheaper it is per day! Early and Late season hunts for both bow and gun hunts are priced lower. And we give group discounts for groups of 4 or more. As you can see because our price options are many it is easier to have you contact us we'll get them out to you asap. Both Bow and Gun hunts prices run much lower than the average. These may be our most popular hunts! All hunters who book will receive an E-news from Outdoor Partners every 4 to 6 weeks not including November. 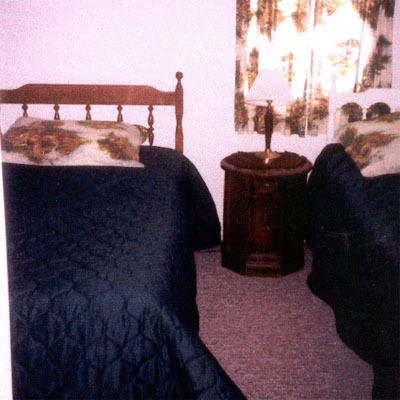 Outdoor Partners provides you with lodging close to your hunt area. A 2 person per room maximum is guaranteed. Nice shower and bathroom area is provided. 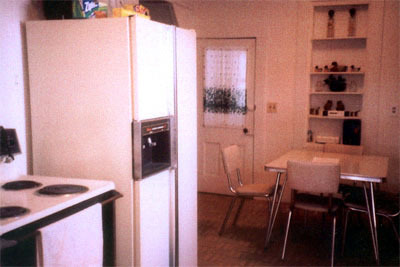 We offer a fully equipped kitchen for your use while you are here. We require our hunters to provide their own food and do their own cooking. If you are not interested in cooking, local restaurants, grocery and convenience stores are only 3 miles from the lodge. To further accommodate our hunters, we have a walk-in cooler conveniently located next to our lodge. The cooler will help in preserving those trophy animals. Local taxidermy services available. We are setup so you can process your own deer.